New friendly and reliable Pet sitting service in and around the Eaton Bray area. Love your Pet? Love to Travel? Friendly, reliable Pet Sitter in and around the Eaton Bray area. Any pets welcome big or small, cute or scary. Even if you don't have pets i am happy to visit your home, water plants, open curtains, turn lights on and off...generally make it look like someone is in. Keeping your home and your pets happy while you are away. Thus making a Puurrfectly stress free time away! £6.00 per single visit or £10.00 for 2 visits per day within Eaton Bray area. £8.00 per single visit or £12.00 for 2 visits per day outside of the Eaton Bray area. Whether you have one, two or three pets, the fee stays the same. This is where Feline Friend Sitters differ to other pet sitting companies, who charge extra depending on the number of pets that you have. And the initial 'get to know' visit is FREE. Call today to arrange visits. 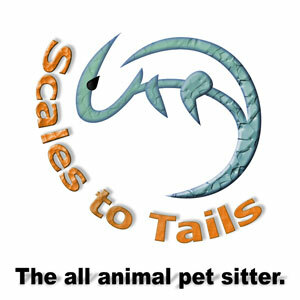 Scales to Tails is run by Heather Findlay, a local mum in the village, who has been working with animals for many years and is qualified in animal welfare to degree level. Scales to Tails, the all-animal pet-sitter, is a friendly and reliable service where you're pet's welfare and comfort are my first priority. I have been working with animals for 12 years and in this time have worked with a wide range of animals including cats, reptiles, birds, amphibians and large animals such as horses, cows and alpacas. Police-checked and insured, I am based in Eaton Bray and also cover the surrounding villages.